Three clothes pins on a line at Christy Ranch, Santa Cruz Island. Images of people and places from across the United States of America: Santa Cruz Island, California Channel Islands: Three clothes pins on a line at Christy Ranch, Santa Cruz Island. 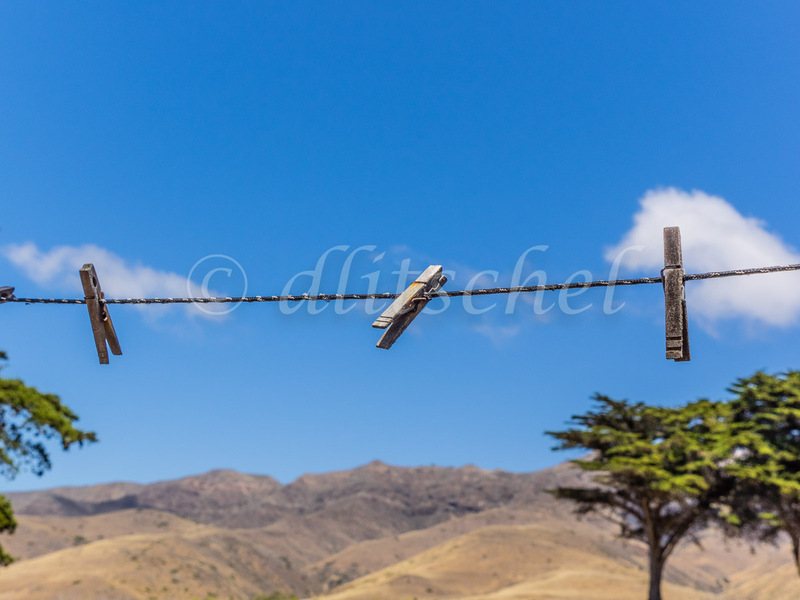 Three old weathered wooden clothes pins are attached to a clothes line against a soft focus background of Monterey Cypress trees, barren mountains, blue skies and white puffy cloud on Santa Cruz Island, part of the Channel Islands off of the coast of California.